The two new printers, RICOH Pro L5130/L5160 can print up to 473.6 ft2/hr. They also possess curing technology that leaves output ready for finishing as soon as it comes off the printer. The automated maintenance features and durable design allow printers to produce a broad range of output and drive greater productivity to their business. 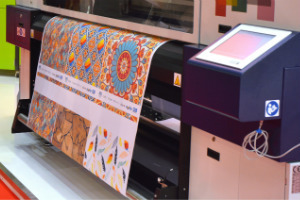 Wide-format printing is common in many industries, and the design of the RICOH Pro L5130/L5160 series, was engineered specifically to equip printers to reliably excel at meeting any demand from their customers – and do it better and faster than the competition. The L5130/L5160 series’ speed, reliability and media versatility make it an excellent choice for today’s print providers. Now you can produce crisp, clear prints for a variety of applications on substrates that range from wall coverings to window graphics to backlit day/night signage.